Our vision is for Birmingham and the Black Country to have more wildlife, more wild places and more people with a strong connection to the natural world. We manage our own nature reserves to a high standard and work in partnership with others to create and enhance wildlife habitats locally. 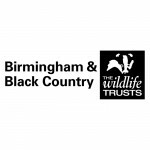 As lead partner of the Birmingham and Black Country Nature Improvement Area since 2012 the Wildlife Trust has worked with our many partners and more than 2,000 volunteers to improve over 100 sites for people and wildlife. Our approach of working with local community groups in areas of public open space has seen over 40 new meadows created, 103 hectares of woodland enhanced and many kilometres of watercourse restored. Space for nature is protected, restored, created and valued. Everyone is connected to nature. The natural environment is at the heart of planning, policy- and decision-making. We are an effective organisation.